Guest blogger this week is Dr Paula Bartley, author of Labour Women in Power – Cabinet Ministers in the Twentieth Century published by Palgrave Macmillan. 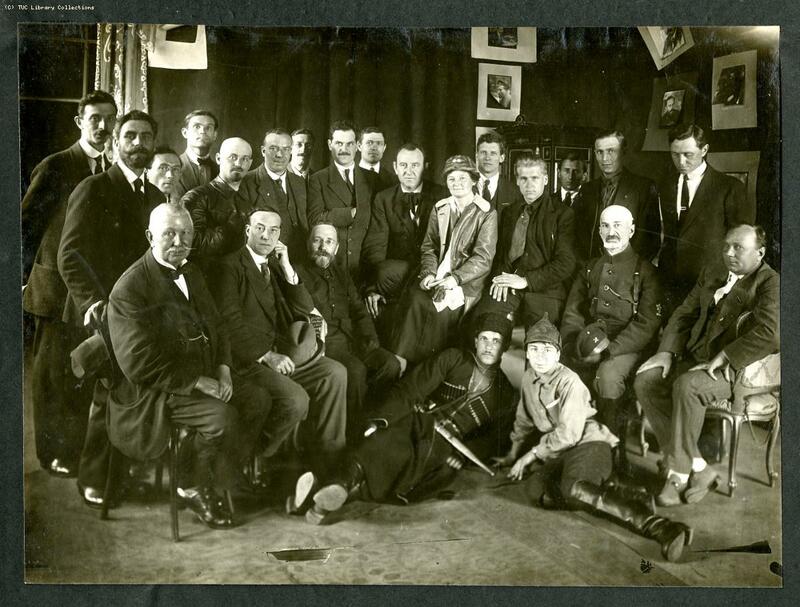 British Labour delegation to Russia 1920.The delegation comprised Ben Turner, Ethel Snowden, Tom Shaw and Robert Williams from the Labour Party; Margaret Bondfield, Albert Purcell and H. Skinner from the TUC. In 1899 Margaret Bondfield was the only woman delegate at the Trades Union Congress. It was her first conference but she ‘surprised and delighted the Congress with her stirring speech 1. She made two speeches at the conference: one proposing a vote of thanks to foreign delegates; another supporting a resolution to set up a Labour Representation Committee, a committee which eventually grew into the Labour Party. In 1923 Bondfield became the first woman to Chair the Trade Union Congress, the first woman to hold a ministerial post and the first woman to be a Cabinet Minister. Margaret Bondfield was Minister of Labour in charge of unemployment benefits. Unfortunately in 1929 the Wall Street crash precipitated an economic depression, the Labour Party split over how to solve it and when elections were called in 1931, Bondfield lost her seat and never returned to Parliament. Ellen Wilkinson was national organiser for the National Union of Distributive and Allied Workers and MP for Middlesborough East during the General Strike. She spent the nine days travelling round the country speaking at public meetings and sending enthusiastic reports back to the TUC. She later wrote a novel ‘Clash’ about her experiences. Like Bondfield, Ellen Wilkinson was sponsored by her trade union as its parliamentary candidate. 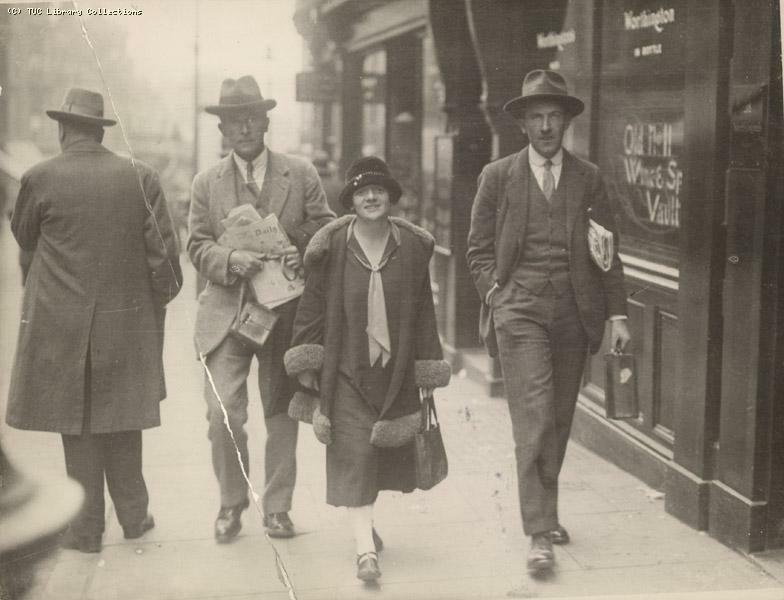 She was first elected in 1924 and as a Labour MP and trade unionist she travelled round the country during the 1926 General Strike garnering support. At one time she ‘addressed a meeting of 3000 people’ in Hull where ‘the spirit was admirable’ 2. During the 1930s she fought against fascism, helped organise the Jarrow March and during the war co-authored the Labour manifesto Let us Face the Future . After the war, as we know, Labour won a landslide victory. The new Prime Minister Clement Attlee appointed Ellen to the Cabinet as Minister of Education. She was the first female Minister of Education and the second woman to become a Cabinet Minister. 1 TUC Congress Report, 1899, p64, TUC on-line. 2 Memo by Ellen Wilkinson to TUC committee, 1926, TUC online.